The simple act of expressing your thoughts and feelings about emotionally challenging experiences on paper is proven to speed your recovery and improve your mental and physical health. This book, written by one of America's most distinguished research psychologists, guides you through a brief, powerful series of directed writing exercises you can do right in the book. Each will leave you with a stronger sense of value in the world and the ability to accept that that life can be good - even when it is sometimes bad. For the first time, a leading authority on expressive emotions therapy, or EET, translates these powerful techniques for emotional healing into a book accessible to general readers. 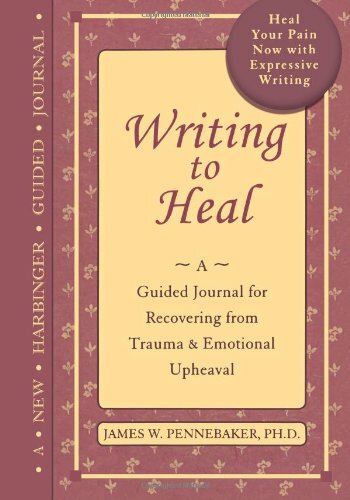 Through guided journal writing exercises, this book helps readers translate their traumatic, emotionally disturbing experiences into powerful writing that is clinically proven to promote recovery. James W. Pennebaker. Ph.D., is professor of psychology at the University of Texas at Austin and has been recognized by the American Psychological Association as one of the top researchers on trauma, disclosure, and health. He is the author of Opening Up: The Healing Power of Expressing Emotions.